Mae Sai is a town on the border between Burma and Laos where there is a continuing conflict between the Burmese military and ethnic groups, despite a ceasefire. The Akha minority group are not recognised as citizens by the Burmese government; the disrespect of fundamental rights has led to many children fleeing towards Thailand. These children often find themselves stuck at border towns such as Mae Sai, where they are forced to live on the streets. In this precarious situation, the children are exposed to risks such as child labour, human trafficking, sexual exploitation and drug abuse. There was an opportunity for the Foundation and Secours Populaire to make a real difference in Mae Sai. 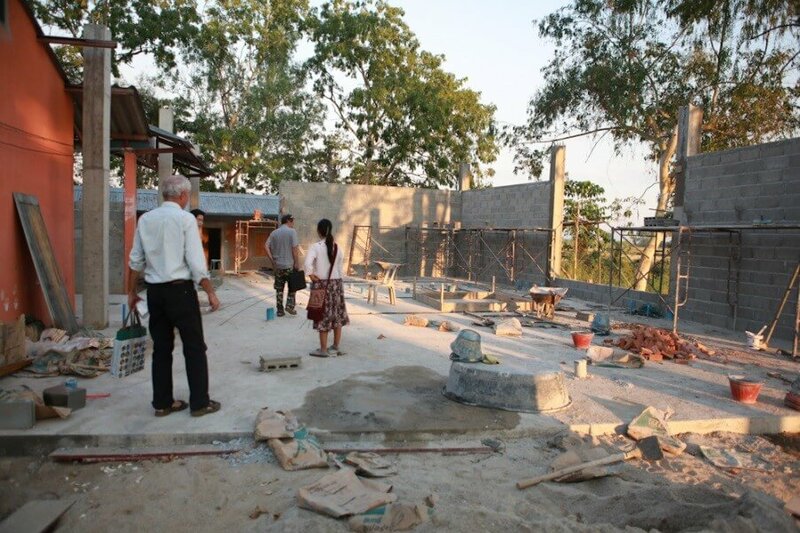 Together, we launched a project with the main aim being to build a functional building housing female toilets and a kitchen for the Baan Nana shelter. Having a clean and safe environment for children makes a tremendous difference. The shelter is hoping to increase the number of children that it can accommodate. Following the completion of the project in July 2015, there has been a significant improvement in the living and hygiene conditions for the children. Founded in 1945, the Secours Populaire is a French non-profit organisation dedicated to fighting poverty and discrimination in France and around the world. Through the work of its 80,000 volunteers it focusses its attention on fighting against exclusion in France and launching development projects worldwide. It’s motto is: “Everything that is human is ours”.